Tomorrow, Sunday, when the rest of the world is hollowing out pumpkins and planning their trick-or-treat campaigns in time for the start of the Halloween festivities, the CSR who's who in Israel will be at the flagship event of the CSR calendar in Israel - the annual conference organised by not-for-profit "Maala" - the Israeli affiliation of Business for Social Responsibility. Maala is celebrating 10 years of activity in Israel, and the success of a growing number of companies joining their organization, now over 130 companies, with over 70 taking part in the annual Maala ranking which determines the Maala Social Index on the Tel Aviv Stock Exchange. The conference will draw a crowd of 700 or more people and is the place to see and be seen if you have anything to do with CSR in Israel. The theme for this years' programme is "looking ahead to the next decade" and will be opened by incoming Maala Chairperson Ofra Strauss, Chairperson of the Strauss Group, one of the (few) Israeli multinationals who is taking sustainability seriously. The programme has a largely local flavour, and plenaries includes CEO Galia Maor, of Bank Leumi, who will talk about stakeholder engagement in the digital age, followed by a review of governance in the Tel Aviv 100, the premier league of public companies in Israel, and a panel on workforce diversity. Breakouts include risks and opportunities of Social Media in business, a panel with CSR-minded CEO's, a session on CSR and urbanization, a session on the role of corporate legal counsel and a session on embedding CSR in organizations (at which I will launch my new book, CSR for HR: A necessary partnership for advancing repsonsible business practices). In addition, one of the highlights of the conference will be the Maala Prize, which is awarded for achievement in a different aspect of CSR each year. This year, the prize will be awarded to Israeli companies who participate in the UN Global Compact. The prize for Global Compact participation was actually a suggestion my company made to Maala, and we are very happy that this was accepted as the focus of this year's recognition for local Companies. We have been driving UNGC participation with local businesses for some years now, and support 8 Israeli companies in their efforts to advance their practices and report transparently. Israeli CSR has tended to be rather introspective over the years, with little involvement in global initiatives. It is only in the past couple of years that we have seen a few more companies adopting GRI as a frame of reference for reportng (my company wrote the first GRI report in Israel, published in 2007) . However, Israel is an advanced economy, recently accepted into the OECD, and it is more and more evident as local companies expand their operations abroad (and there are now several Israeli multinationals), and become suppliers to global businesses, that being part of the world economy requires alignment with the prevailing standards and expectations. The UN Global Compact is a good framework for Israeli companies to adopt, especially if they are not quite ready for full disclosure via a GRI Report, as it broadens their thinking to a global level and starts them on a track of transparency. After the announcement that an award would be made at the Maala conference, 6 companies out of the total 20 active business participants from Israel rushed to declare their commitment to the UN Global Compact, at least two of which we will support by writing their first Communication on Progress. Anyway, this is always a day to catch up with friends and colleagues, hear the latest news (and perhaps even a little gossip :)), and recharge the CSR batteries for another year of making the world a better place. Do stop by our booth (Beyond Business) if you happen to be attending the conference, and enter our raffle for 5 copies of CSR for HR. Sorry, we won't be giving away Chunky Monkey! I recently reviewed the Ajinomoto 2010 CSR report on CorporateRegister.com. I chose to review this report due to my fond memories of being hosted by Ajinomoto in Tokyo, many years ago, for a week of training related to my work at that time. That was a period before I had even heard of CSR or sustainability. Then, you just went about your business, impacts or no impacts. My week at Ajinomoto, both at their head office and in their production plant on the outskirts of Tokyo was one of the most memorable of my business life. The people were delightful, and oh so hospitable, the food was wonderful, the level of professionalism was inspiring and their attention to detail incredible. I even developoed a taste for Japanese food, and a taste I long for to this day is Japanese Green Tea Ice Cream, which marginally beats Chunky Monkey in the ice cream flavour league. Ajinomoto started in 1907 when the founder Mr Ikeda devised a way to make Umami seasoning, a natural flavour made from seaweed which caught on like hot cakes in Japan at the time, apparently, and still does pretty well. Anyway, I have not been back to Japan since then, and have no further contact with Ajinomoto, but reading their CSR Report brought back warm feelings of a great experience. However, as those of you who know me by now will understand, this did not cause me from being direct and to-the-point about their most recent report. This is the first part of my review as it appears on CorporateRegister.com. The Ajinomoto report for 2010 covering fiscal year 2009 seems to be quite true to the company core business – it is built in sections just like the amino acids (the building blocks of protein) that Ajinomoto produces. By this, I mean that there are many individually important core sections which are all valuable in their own unique way, but the report as a whole hangs together less well. For those not familiar with this long standing and well respected Japanese company, which celebrated its 100th birthday in 2009, Ajinomoto has revenue of around $21Bn, 70% of which comes from Japan. The company employs over 27,000 people and manufactures seasonings, frozen foods, edible oils, coffee and a range of amino acids as food ingredients and other specialty chemicals. They operate from a total of 107 plants in 15 countries. Ajinomoto's global sustainability program focuses on three overarching issues: global sustainability, food resources and healthy living. In each of these areas, Ajinomoto sets directional objectives, but not specific targets, which is an omission. Each issue is addressed in a full page with some relevant context. Global sustainability refers to water and energy resources and Ajinomoto's core amino acid processes, which are now using more biomass-based carbon-neutral processes. Food resources is about improving the performance of food crops etc through increased performance of Ajinomoto nutrients. Healthy living is about combating malnutrition and providing tasty and healthy food care solutions. Whilst these issues are vital and Ajinomoto has a good basis to consider them material, the treatment of these issues in the report is rather superficial and glosses over the company's actual impacts in these areas. This is not true universally - space is devoted to advancing nutrition, with several pages on Ajinomoto's global nutrition project which started in 1999, including case studies from Malaysia and Ghana. The rest of the review covers Ajinomoto's excellent stakeholder dialogue coverage as well as reference to their separate environmental report. The company produces both an annual CSR report as well as an annual environmental report. I wonder why ? Maybe this is another reflection of the amino acid - building block mentality. Would it not be easier to produce one Sustainability Report and back up specifics on their website ? In summary, the Ajinomoto CSR report seems to reflect a sincere approach to sustainability but the overall report is not as transparent or nearly as comprehensive as I would expect from a leading Company today. By the way, in case you were wondering, Ajinomoto means "natural flavour" - which a nice little blog post explains. And now I want to fly to Japan and feast on some natural flavour Green Tea Ice Cream. Coca Cola Enterprises Inc: Winners in Best Creativity in 07, 09 and 10, and now trying their luck this year in four categories - Best Carbon, Best Materiality, Best Honesty and Best Report, all categories Coca Cola entered last year but did not get into the top three. 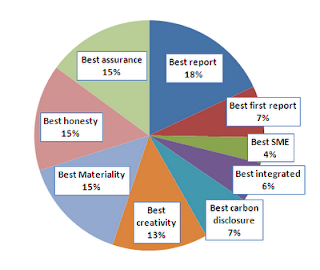 Novo Nordisk: Winners in Best Integrated in 07,09 and 10, now trying their chances in CRRA 11 in three categories - Best Materiality, Best Honesty and Best Report, categories they entered last year and did not get in the top three. Vodafone: Winners in Best Report in 07,09,10 and Best Materiality in 07,09 10 are now trying their luck in two categories - Best Carbon Disclosure and Best Honesty. NB: This post was modified on 29th October, one day after original post, to correct some of the information provided about CRRA 11 entries. The post now reflects the correct position. Apologies if this has caused any confusion. Also, this year's line-up reflects a deliberate attempt to reduce the number of entrants to make the voting task more manageable for us voters. Yes, I did say us. Because if you are reading this blog, you MUST vote. OK? Over the next few weeks, as I usually do, I will be looking at the entrants category by category and sharing some background on the CSR reporting blog about what's happening in each category and the characteristics of the different report entries . And this year, I think I will make a note of who I voted for so that, when the results are announced, if I get more than one win, I will be able to treat myself to a guilt-free feast of Chunky Monkey. Fair trade of course. Can you sell sustainability to customers ? ** what is the alignment between my brand's positioning and our sustainability story? ** what's my audience's relationship with sustainability? ** what are the characteristics of a socially responsible brand for consumers today? These questions cut to the chase and the report offers very keen insights and answers. (Wonder why they didn't pick shocking pink? )(OK, I know, it's too shocking). In fact, the top 5 sustainability issues that consumers associated with sustainability were orange, yellow and blue. Not even a tiny splatter of green until you get to the ninth sustainabillty issue on the list. The overriding conclusion from this research is that sustainability is a cultural shift and not just a passing trend. with 64% of respondents confirming they have a general concern for society and planet and want to be part of a better world. Funnily enough, 64 % (maybe the same 64%, maybe not) picked honest communication and transparency as the most significant characteristic they look for in determining whether a product is sustainable or not, 61% mention that reusable packaging is a very big plus and 57% look for a "Made Locally" label. TV advertising is still a key place for consumers to learn about new brands, whilst 67% of North Americans want to know about the socially responsible behaviour of brands before they buy them. The report goes on to define the four keys to sustainable brand communications and the four barriers to conscious consumption which are time, knowledge, price and pressure . This is important because at least part of the complex explanation for consumers not buying sustainably is lack of knowledge, or, I assume, inability to compute the information that is available. Finally, the SHIFT report talks about the Sustainability Passion Index (SPI) which categorizes consumers into 5 types according to their positioning on the commitment-to sustainability consumption spectrum, providing clues as to how to market to them. All of this is important for those engaged in selling brands and the positioning of brands to meet consumer expectations and aspirations. There is no doubt in my mind that we are experiencing a cultural shift, though I suspect it is still in the early stages. Perhaps part of this shift will see us moving in the direction of much more accessible, legible, comprehensible, and focused sustainability communications with consumers. It still amazes me that we do not see many sustainability messages on actual consumer products. United Airlines realized that they have a captive audience for their sustainability message on their flights and ensure that every seat pocket is equipped with a CSR report alongside the vomit-bag. Ahem. I am sure that's not intentional and that there is no causal relationship between these two. Haha. Sorry, United. 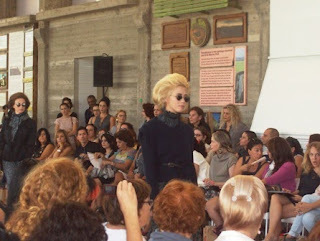 But the point is, sustainability is a message which has to be taken to where the consumer is. With so many brands on the supermarket and big-box shelves, and consumers wanting to know more, surely some form of communication in the brand package could be worthwhile. Perhaps is is only a matter of time until we see Sustainability Reports by brand rather than by Company, or at least, in addition to overall company reports. The new Barcoo system which offers consumers a price comparison, test reports, health, green and sustainability information about the manufacturing company at the click of an app may well serve to meet consumers' information needs about the company behind the brand, though not necessarily about the sustainability of the brand itself. If I were a manufacturing company, I would make completely sure that I control what gets into that barcode app through proactive and transparent communications. Anyway, for the time being, I haven't tested Chunky Monkey with the new barcode system. I wonder where that places me on the Sustainability Passion Index. Last week, I received an email from a valued CSR Reporting blog reader in South Africa. Her name is Reana Rossouw and she founded and runs an award-winning organization development and sustainability consulting practice called Next Generation. Reana presents a master class in South Africa on Sustainability Reporting, a place where lots is happening right now. Many a time I receive your articles and comments I immediately go on a hunt for that particular report. However, getting copies of sustainability reports are becoming a nightmare. Why is everyone so fixated on publishing online reports only? I know they claim it is to save trees, however, is the real objective not to communicate with stakeholders? I would really appreciate it if you could address this issue in one of your upcoming columns, just tell people there are still some of us who prefer to actually READ a real PRINTED sustainability report. We use copies of the reports as a teaching tool and aid in our classes. I would have thought companies would really appreciate it if they get requests for copies of their sustainability report – at least someone is planning to read it – but no, they prefer one to go onto a website. Which shows so much ignorance – in South Africa unlike the rest of the world we do not have unlimited bandwidth – and sometimes no connectivity – downloading a 100 page report of about 20MGB takes sometimes days as we get cut off, our connection is interrupted and then we still have to print it anyway – so they only transfer their environmental responsibility to me. Well, I sympathise with Reana's point and have blogged about this before. I continue to find it incredible that companies claim that they are not printing Sustainability Reports in order to protect the environment, when they have no qualms about printing every other communication in the business. I find it much easier to read and review hard copy reports, even if these are summary reports. There is no reason to print hundreds of pages, I agree, and there is no reason not to print on recycled paper. The Westpac summary report is one of the best examples of this. It is backed up by a good sustainability website, a nicely navigable annual and sustainability reporting site, and a 2.67 Mb downloadable PDF report. The report itself is a flimsy 49 page magazine-style brochure, weighing next to nothing, nicely designed but not flashy, and containing all the important information I would look for, including a Materiality Matrix, full Performance Scorecard with quantitative targets, just enough photos to get a sense that real people work at the bank, and a pleasant overall look. In fact, it is one of the reports that I keep in my bag to show to clients when I meet with them to talk about the concept and design of their next report. I think Sustainability Reports are important enough to print. 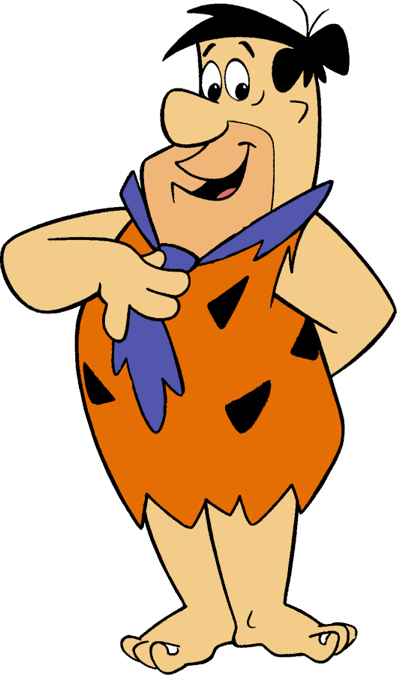 Doing business sustainably does not mean adopting a Fred Flintstone lifestyle. We can still do busines with an eco-conscience and with care, even if we print an annual sustainability report. I prefer to read hard copies. I am much more inclined to write a review of a sustainability report if I can read it without having to be glued to my PC screen. In fact, I invite all companies producing a hard copy report, summary or otherwise, to send me one, with a clear conscience :) I will do my best to review it on CorporateRegister.com or on this blog. So, Reana, thanks for giving me the opportunity to rant about this (again!). More importantly, thank you for reading the ole blog and taking the time to let me know that you find it useful. There is no sentence sweeter to a blogger's ears than "I read your blog". Followers of this blog and my sustainability report reviews will know that I often refer to direct impacts and indirect impacts. Maybe I should clarify what I mean. These are all the actions of a company which have an impact on stakeholders. This can be anything from reducing carbon footprint to creating a new environmentally friendly product to paying employees a living wage to volunteering in the community - anything that the company actually does and its direct effect on stakeholders. These, in my CSR lexicon, are really the effects, results or outcomes of direct impacts. By developing a cause marketing campaign (action which creates a direct impact on those involved in the campaign or benefit directly from the cause), a company may be influencing awareness and consumer behaviour in an indirect way. By developing a new environmental technology, a company may be influencing consumer habits far beyond the specific action the company invested in order to develop a product. A bank may lend money in a responsible way (direct impact) but the whether the money is used in a responsible way is the indirect impact. An ingredients supplier such as Danisco has an indirect impact on (1) the way manufacturers make products with more sustainable characteristics and thereby change consumer habits and (2) the sustainability impacts of manufacturing supply chain processes at customers who buy their ingredients. Indirect impacts, in many ways, are outcomes of direct actions. A company cannot control indirect impacts, only direct impacts. But if we think of the direct impact as the driver and the indirect impact as the outcome, then indirect impacts should be of vital relevance to any company's sustainability thinking. The interesting thing about this is that in almost any business, industry or sector, the indirect impacts are always far, far greater than the direct impacts. This represents the real difference a company can make as it adopts a sustainability approach, impacting much more widely than its immediate actions. HP say this in their 2009 Global Citizenship Report: "The IT industry is responsible for about 2 percent of global GHG emissions. But our products and services offer great potential to help reduce energy use and emissions throughout the global economy—the other 98 percent." In determining their sustainability strategy, HP is conscious not only of their activities for designing, manufacturing, marketing, selling and distributing products but also on the way they are used by consumers, in order to impact far beyond the scope of HP's actual operations. An HP printer may be manufactured in a sustainable way but the way it utilizes ink, enables dual-side printing, is recyclable etc determines the level of potential environmental impact through its lifecycle. By now, everyone knows that the carbon footprint of a T-shirt is mainly in the wear and laundry of the T-shirt thoughout its lifecycle which overtake the carbon emissions generated by its actual manufacture. Where am I going with this ? One more thing and we will get to the paradox. See, I read hundreds of Sustainability Reports. Most of these reports relate to what the Company is doing to behave as a responsible business and advance local or global sustainability. No matter what the report structure, they always come back to impacts in the marketplace, workplace, community and environment and the narrative is almost exclusively about what the Company has done, how much it has invested, how many people were involved and how good everybody felt. For companies that report metrics, these metrics measure all of this: how many volunteering hours, how many training hours, how many emissions, how many hybrid trucks are used in distribution, how many eco-products have been developed, how much money has been spent. But frankly, what use is it to me to know that employees volunteered for 50,000 hours if I don't know what kind of a difference they made during those hours? I dont mean where they went and which project they advanced. I mean what DIFFERENCE did they make? Same with our HP printer example. Who cares if HP or any other company has developed a program to recycle printers? What we should care about is how many consumers actually recycle printers. The program is the input or the enabler, the actual level of recycling is the outcome. The outcomes are what we want. companies spend their time and energy reporting on direct impacts when indirect impacts are much more crucial evidence of the way they are changing the world. What really matters most is the outcomes, but very few companies report on these. Most indirect impacts can be measured to a lesser or greater degree with the right kind of analytical thinking, but very few companies go the extra mile to attempt this. If one thing needs to change about sustainability reporting, it has to be the practice of publishing a shopping list of actions and instead reporting on the value a company adds to our collective sustainability. My strongest recommendation to all companies entering the reporting cycle for 2011 reports is just that: Focus on where you are having an impact beyond your immediate actions. Let this be what drives your strategy, decisions, actions and reporting. Think top-down, not bottom up. Make the effort to assess the difference you are making. 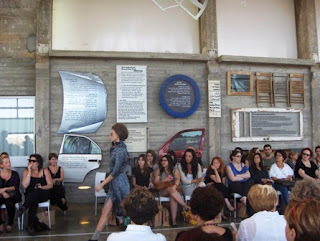 The leading Israeli fashion company, comme il faut, never ceases to astound with the use of contrasts and creative initiatives, combining fashion with all sorts of subjects that one would not normally associate with an industry notorious for skewing our perceptions of beauty and for driving frenzied consumerism in the name of keeping up with the trends. comme il faut is no stranger to provocation. Usually, this is directed at raising awareness of difficult issues in our society, social or environmental, as part of the company's deeply embedded values and social responsibility. This was recognised by Ethisphere who counted comme il faut as one of the world's most ethical companies this year. Over the years, through its fashion campaigns, the company has addressed head-on many feminist issues, blowing away myths that prevail in our society and denigrate the position of women, such as how women eat, how women dress, the "invisible"work that women do in the home and more. Way back in 2004, the company made BBC and CNN headlines when it staged a photo shoot at the controversial Israel-Palestine separation wall in an attempt to raise awareness of this painful issue. 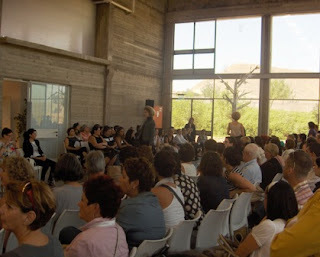 In 2009, the company ran a campaign supporting women who are trapped in prostitution, requesting customers to bring in old bras for use in an artistic exhibition, whilst making a contribution to support rehabilitated prostitutes make a new life for themselves. Environment-wise, the company is slow-fashion to the core, low-carbon and an ultra-recycler, and almost nothing is not reused in comme il faut. Even the carry-bags for customer purchases are rejected bags from a cement company that would otherwise go to landfill. But what prompted this post is the new collection fashion show which was held last week on the site of Tel Aviv's massive eye-sore landfill dump which has now been converted into an Industrial Recycling park. The choice of this site was no coincidence, of course, attempting to drive home once again the role of responsible fashion in our society, and the need for eco-consciousness. 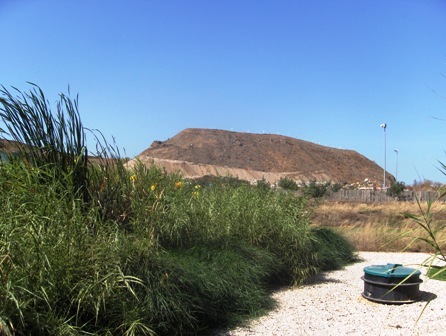 The contrast of beautiful designs against the backdrop of the biggest dump in the Israeli metropolis was something that no-one could miss comtemplating upon! Kudos to this wonderful company who never fails to embrace responsible and sustainable practices as part of its core brand. I can't close this week without a mention of the newly relauched Guardian Sustainable Business website, which "marks a significant step in the Guardian's efforts to help build a better future", as Jo Confino says in a blog-post. "The free GSB website will act as a hub of the best information and debate on the subject available across social media ." The website includes news on sustainable business topics, the sustainable business blog, a focus on the Global Cleantech 100, a useful series of sustainability (mainly envronment) profiles of leading companies and more. You can also register to join the Guardian community, complete surveys and win points to be redeemed at Amazon. Yeah! The site also contains a twitter stream including yours truly, humbled to be in company with other outstanding tweeps such as @fabianpattberg, @davidcoethica and @futerra. Fabian also blogs for the site - see his excellent inaugural post on the events which have changed corporate sustainability in the past 12 months. You can follow GBS on Twitter at @GuardianSustBiz. What I like most about the Guardian Sustainable Business site is not only the content, and that's pretty good!, but the fact that this is brought to us by a company that walks the talk. There are so many companies, vendors, actors, players in the sustainability space that preach but do not practice. They are more than happy to advise others, but do not engage in sustainability from within. The Guardian has demonstrated quite clearly that Sustainability means Business for them, as well as values, and they have embraced sustainability practice, including excellent, transparent, sustainability reporting which is groundbreaking progress for a media company. Somehow, sustainable news is more interesting when it is delivered by a sustainable company. GSB is one of my go-there-every-day-websites. I recommend that you make it one of yours too! The new Global Compact DIfferentiation Framework. The Global Compact goes GRI. Kind of. As of October 2010, the UNGC will stop recognizing Communications on Progress as "NOTABLE" (for adherence to the COP policy and representing illustrative and inspirational examples of communicating progress) and will introduce a three month trial period for the new Differentiation Framework. Basic : This comes together with its own fill-in-the-blanks and tick-the-boxes template , remeniscent of the GRI "Let's Report C Level template" and is targeted at "smaller and inexperienced" companies. It covers the four disclosure areas and asks for policies, implementation and outcomes against each area. Intermediate: At this level, companies should use the standard COP process, cover all Global Compact principles, and communicate directly with stakeholders on progress made using accepted standards of disclosure and transparency such as the Global Reporting Initiative (GRI). In other words, a dedicated COP, reporting against all the principles, or a GRI Sustainability Report, as now. Advanced: This level aims to create a "gold standard" for corporate sustainability performance and disclosure. It includes a set of self-assessment questions covering strategy, governance, implementation of the UNGC Principles, value chain responsibility, stakeholder engagement, context, transparency and disclosure. "When submitting their annual COP, companies will have the option of participating in the programme by completing a self-assessment questionnaire covering the content of their COP and assessing their implementation of the Global Compact principles against global best practices. Results of the self-assessment will be made available to the public to encourage stakeholder engagement and protect the Global Compact’s integrity." This is designed as a first step in the implementation of the Blueprint for Corporate Sustainability Leadership launched in June 2010. So, as I understand it, preparation of COP's remains as now, with the addition of the lightweight template, and apportioning recognition for achieving the (formerly "notable") "gold standard" is delegated to the communicating companies themselves, by way of the self-assessment. Pretty much like the GRI Reporting Application Levels which can be self-declared. Another thing worthy of note on the UNGC website is the mention of Financial Markets: "The Global Compact is working closely with Bloomberg LP to make COPs available to the mainstream financial community in order to their use, mainstream the use of environmental, social and governance (ESG) information in financial analysis. It is expected that this will generate further incentives for companies to increase transparency and disclosure." Personally, I find it baffling. A large number of COP business communicators are bigger companies that produce their own Sustainability Reports (GRI-aligned or not) and submit this to the UNGC as their COP. More often than not, this is simply a cross-referenced table of GRI Indicators to UNGC Principles. The GRI has positioned itself as the gold standard of corporate sustainability disclosure and by and large has achieved this. I wonder how the UNGC, with a requirement for a COP ( which covers Human Rights, Labor Standards, Environment and Anti-Corruption, way below disclosure levels for the GRI) plus a self-assessment questionnaire of yes/no responses, can aspire to replace the GRI A Level with a new gold standard? Secondly, the beauty of the UNGC framework so far has been its equality and accessibility. All organizations were free to commit, join and communicate in their own way, with some very basic guidelines for COP submission. The really good ones got a pat on the back with a "notable" recognition awarded by the UNGC COP evaluators. This provided a great opportunity for everyone, large, small and sustainability-fledgling organizations to declare support and get their transparency toes wet. 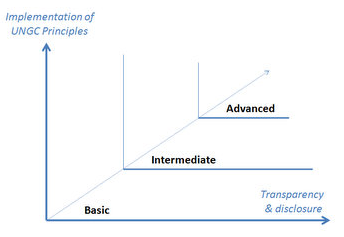 I know, of course, of all the criticisms of the UNGC as being wishy-washy, toothless, not focused on driving action etc, but I have tended to believe that the advantage of this loose framework offers precisely the entry catalyst for companies to develop their sustainability and transparency muscles in an easy and non-prescriptive way. The GRI is there for those who are able to do more. So now, instead of everyone being equal and commended for participating in the prestigious UNGC, companies will be assigned a basic, intermediate or advanced tag. For a company who is not ready to communicate at GRI level, but has made significant progress in CSR and delivered a first COP, instead of being commended, they are now labelled "Basic". I think that's going backwards. Thirdly, the self-assessment questionnaire is not really any great shakes. By responding "yes" to all the questions, companies can now elevated themselves to "advanced" status. But all yes's were not created equal. And in responding to this self-assessment, I suspect there will be a temptation to expand the scope of what constitutes a "yes" in order to gain the coveted "advanced" tag. In the same way as a GRI "self-declared" reporting level is often found to be deficient, I suspect this self-assessment questionnaire may not be a true reflection of performance accross the board. Fourthly, the self-assessment will not be policed, apparently. However, the self-assessment does include a yes-no as to whether the COP has been externally assured or verified. Of course, the GRI doesn't do such a good job of this either, as I have pointed out several times in the past. Perhaps this paves the way for the next UNGC refinement which is Basic +, Intermediate + and Advanced +. Aarrggh! Finally, I truly thought we were in the era of convergence. With the announcement of UNGC and GRI closer collaboration in Amsterdam in May this year, I thought we would see a merge of the COP into the Sustainability Report, or at least, a full recognition that sustainability reporting meets the COP criteria. The diffrentiation framework does formalize the GRI-UNGC alliance a little, with Intermediate Level ultimately becoming the Sustainability Report, as is current practice for many companies. But why did the UNGC not go the whole way and align COP's to the GRI A,B,C,+,+,+ ? The self assessment provides, in theory, a way for the UNGC to see what companies are reporting on what, but so does the GRI Index. At Reporting Level A, companies are required to respond to all indicators. For the UNGC, completing the self-assessment questionnaire seems to be enough - I cannot tell that the quality of the responses makes any difference. As far as I understand it then, with the new UNGC Differentiation Framework, a company can produce an A+ GRI report and be tagged Intermediate. Similarly, a company can produce a C level report, respond to the self-assessment, and suddenly become Advanced. As I said, baffling. What have I missed ? Perhaps someone can enlighten me ? I was preparing next week's editorial for CSRwire.com and made a reference to ESG. I thought I had better offer an explanatory link for the sustainability-acronym-challenged and did a net search. This was not much help. Acronym Finder has 93 definitions for ESG (not counting 205 definitions in the "Acronym Attic"). You can pick your way through Escola Superior de Guerra in Brazil, which I hope not to send my son to, Expanding Sphere Generator, a weapon used by the Lyrans in Star Trek, an Electrostatically Supported Gyroscope used in submarine navigation, an Expeditionary Strike Group, which allows US naval fleets to provide highly movable and self-sustaining forces for missions in various parts of the globe, and you can also find Emerald, Sapphire and Gold, a Bronx band, originally consisting of the Scroggins sisters (no joke!) . And numerous more. Isn't it amazing that three little letters can lend themselves to so many different things in so many aspects of life. So now I have a problem. Which definition should I link to? I don't recall many sustainability articles referring to Electrostatically Supported Gyroscopes. Not recently, anyway. But more importantly, the ESG definition that came close to the one I was looking for was "Environmental , Social and Government issues". Now, that's a bit misleading, as the definition I really wanted was Environmental, Social and Governance, not government. So now I have another problem. Nothing to link to. So I decide to change my reference to ESG and use CSR instead and see what acronym finder has to say about that. OMG! Even MORE definitions ranging from the usual Customer Service Representative thru to Certified Shorthand Reporter and more. Corporate Social Responsibility does feature, however, so I run with CSR. No link. We all know what CSR is. Right ? This did get me thinking about use of acronyms in CSR reports. I took a look a recently published CSR report: ConAgra Foods 2010 Corporate Responsibility Report . Now I have to say that this report is fairly light on acronyms compared to several that I have seen, and each is explained in the text so the acronym-challenged readers will have no troubles here. Here are some of the ConAgra acro's with the amount of times they appear in their report in brackets. ConAgra have these for Asians, Blacks, Latinos, Women, Young Professionals and LGBT. Oops, there goes another acronym. See, I am doing it too. .... as in food that is Better... well, you got it. This appears to relate to government standards for advertizing of foods to children. ConAgra joined the CFBAI and the CBBB in a voluntary initiative of self-regulation in advertizing healthy food choices to kids. CFBAI? CBBB? Children's Food and Beverage Advertizing Intiative and Council for Better Business Bureaus. RQI (3) : Research, Quality and Innovation. This is what you will not find in ConAgra's Hunts Ketchup as it has been replaced with sugar, after 18 months of testing. The reason for this change appears to be a "shorter, simpler ingredients list". This is ConAgra's program for employee development which delivered over 90,000 training hours in 2010 FY, more than double that of 2009 FY, perhaps as a result of the launch of the ConAgra virtual Foods University. This is what shrink film for packaging is now made of. ConAgra say they were the first US company to convert shrink from non-renewable plastic raw materials to use post-industrial recycled PLA which is made from corn. PLA contains more than 50% recycled material. The most frequently appearing acronym is GRI, Global Reporting Initiative, which appears 45 times. But that's only because at the bottom of each page, the relevant GRI performance indicator is referenced. Haha. Nice touch. ESG, by the way, did not figure. No Electrostatically Supported Gyroscopes at ConAgra, apparently. Anyway, I now have invented a new acronym. CSRRA : Corporate Social Responsibility Report Acronyms. How many CSRRA's in your CSR report ? General Electric does imagination with everything. Ecomagination. Healthymagination. Whatnextimagination? I reviewed their recent Corporate Responsibility Report - responsibilitimagination (my nickname - but GE are welcome to use it - haha - for a small fee:)) in my regular slot in Ethical Corporation Magazine (click here for subscribers). You can download the full review from my website here. The real problem, of course, in reporting, for a company such as GE is, well, just how much everythingimagination can you fit into 40 pages? Quite a lot, is the answer, especially if you back it up with a jampackedimagination website. Starting off with Responsibility 101, to ensure we are all on the same page, moving through a detailed look at Employee Survey Feedback, passing through GE's priorities, and how GE strengthens the global economy, and a range of stories giving detailed insights and case studies, and more, GE does a pretty commendable job in clear and reasonably transparent reporting in a nicely navigable website and short summary report. This report is called "Renewing Responsibilities", which is a statement about finding new ways to revive plans, partnerships and programs after the"Great Recession" , which doesn't seem to have hit GE all that hard, but with a recognition that there are now even more "complex and pressing problems" to fix in the world, GE wants to do its bit. "A report from a giant such as GE, a "diversified infrastructure, finance and media company taking on the world's toughest challenges" with over $150Bn annual revenues and 288,000 employees, raises high expectations. Sam Nunn, the Chair of GE's Public Responsibilities Committee and Board Member, confirms that "Citizenship is not a spectator sport" and that companies with global reach and impact must set priorities to increase shareholder value whilst having a positive impact on society and the environment. There appears to be no doubt that GE is serious about their framework to "make money, make it ethically and make a difference" and happily for us all, planning to do more, not least because of the tangible business benefits this delivers. GE is an icon in Sustainability Strategy and Sustainability Branding – one of the first globals to adopt the language of strategy rather than the touchy-feely do-good give-back rhetoric of most early adopters - and this pays off. Ecomagination product sales have grown faster than any other segment and now account for 28 percent of GE's industrial product portfolio, almost doubling its revenue in 5 years. Healthymagination is GE’s six-year $6Bn commitment to healthcare innovation, established in 2009 to help deliver better lower-cost health-care, tapping in to a growing global $3.5Trn market. GE's strategic choices are inspired and executed with attention to a broad range of stakeholder needs, alignment with key Millenium Goal world problems, an impressive commitment to transparency and an eye for where the profit is. This, GE's sixth Citizenship Report, entitled "Renewing Responsibilities" is a response to the need for renewal after what CEO Jeff Immelt calls the "Great Recession" and definitely not for those short of time or lacking concentration. It is a packed 40 page printed summary, backed by extensive online content, including "deep-dive" articles on key themes from employees, unedited commentary from customers and external experts, individual country fact sheets showcasing the local flavour of GE's citizenship and much more. Taken as a whole, the GE report focuses on the core global themes of GE's citizenship: Energy and Climate Change; Sustainable Healthcare and Community Building, exploring these themes in depth, providing contextual commentary and describing GE's performance in each area. GE's approach is persuasive. They set the scene and describe how they do their bit. It's hard not to get swept along with the logic of it all." "Overall, of the key sectors that make up GE's business, the largest share of revenue comes from GE Capital, which engages in financing capital assets, real estate, loans and even private label credit cards. This $50Bn revenue business, effectively GE's own private Bank, has a fundamental impact on corporate and consumer financial behaviour but is barely mentioned in this report. What is GE's position on the principles of responsible finance and responsible lending? Who and what is GE financing? How GE approaches 32% of its revenue engine remains, in my view, an omission. In fact, this goes to the core of the challenges of balanced sustainability reporting facing a mammoth diversified global business. Whilst GE reports impressively on material themes, and some localized country perspectives, coverage by business segment is lacking. Technology and Energy segments are largely addressed through the Ecomagination and Healthymagination discussions, with some reference to GE's consumer business, but GE's approach to managing its capital and media businesses (including NBC Universal, theme parks, digital media etc) are not discussed. I believe, for a business of this size and diverse scope, a briefing by segment would also be appropriate. One other area which deserves greater disclosure relates to lobbying practices. GE's public policies (China, Iran, Free Trade etc) are clearly stated, and make sense, but a $25Mn annual lobbying spend in the US alone deserves a line or two at least. " Overall, this report does show GE as one of the leaders in sustainability thinking and practice. I have always maintained that a branded approach to sustainability focuses the mind and corporate energies behind the most important things and delivers business benefit. The GEmagination branding is good. It works. And it delivers.